Stages 1-2 replacement filters for 2nd year service. Save $9 OFF $39 list price. Right from your kitchen tap! This complete water filter will produce an unlimited supply of bottled-quality drinking water while removing any chlorine, unpleasant tastes, odors, and up to 99% of harmful contaminants to produce clean and refreshing water that everyone will enjoy. This will improve the flavor of coffee, tea, and ice cubes—everything tastes better with RO water! 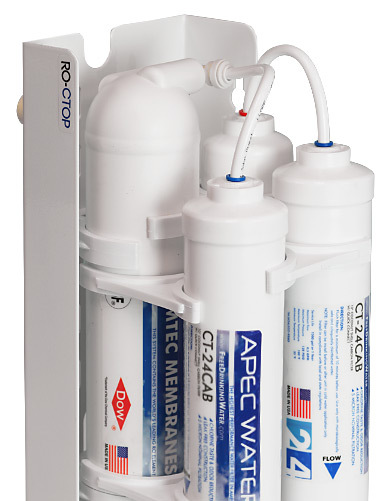 With the lightweight, compact, and portable RO-CTOP-C reverse osmosis system, you can get great-tasting, clean water anywhere! This countertop unit removes chlorine, taste, odors, and up to 99% of harmful water contaminants to quickly produce RO filtered water at any tap. 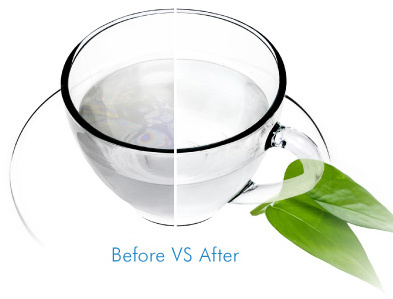 Purified water improves the flavor of coffee, tea and ice cubes—everything tastes better with RO Water! All systems are put through a rigorous multi-point quality control process to eliminate even the slightest component imperfections. This system will provide you with the ultimate satisfaction and peace of mind with a reliable operation that is free from noises, leaks, and clogs. 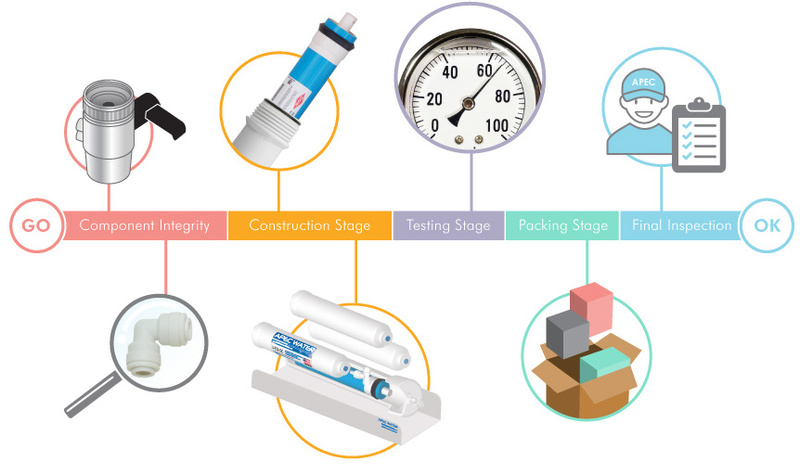 RO-CTOP-C is designed with simple installation and maintenance in mind. 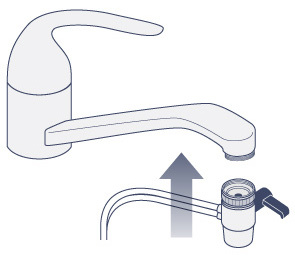 The John Guest quick connection fitting allows quick filter changes, and the included faucet adapters connect to most faucets with little to no effort. Effectively treat tap, well, and hard water at variable water pressures with extreme pH and hardness levels. Lightweight and compact for easy packing and transport—great for frequent road and air travelers. Ideal for use in apartments, condominiums, RVs, mobile homes, retirement homes, or college dorms. 16" x 6.5" x 6.5"